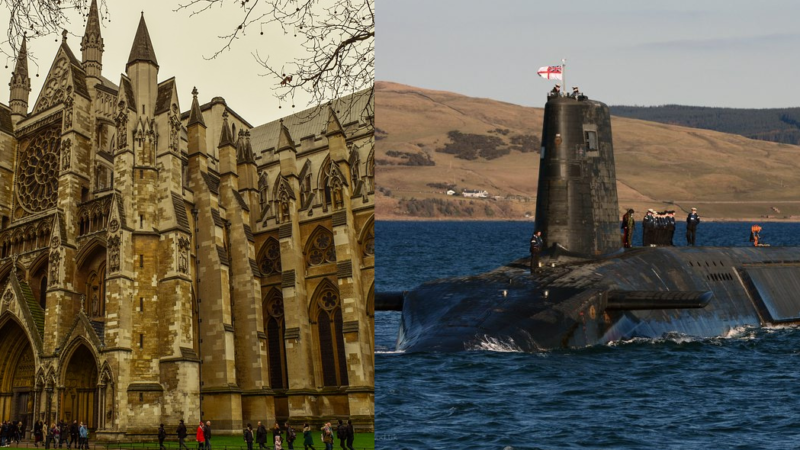 The Greens and SNP have criticised the Labour Party for its continued support for the Trident nuclear weapons system. This echoes Labour’s pledge during the 2017 election manifesto. Labour leader Jeremy Corbyn, a longstanding critic of Trident, was not present at the debate – which was called by the Scottish National Party. Twenty-eight SNP MPs voted against the motion to support Trident. So did four Plaid Cymru MPs and the Green Party’s sole MP. They were out-voted by 192 Tories, 37 Labour MPs, eight DUP MPs and independents Lady Hermon, Anna Soubry, Sarah Wollaston and John Woocock. A 2016 poll showed that the public was split about 50/50 on whether to renew the Trident nuclear weapons system or not. I will send a DVD called ‘The Megaton Bomb’ to Nia Griffith, This details the effect of such a bomb dropped on St Pauls, London. Its calculations are based on official government scientific evidence. A circle of London, reaching out to Battersea would be completely destroyed with lesser devastation going out further. This is the result of just one nuclear bomb/rocket of the 16 carried by one Trident Submarine. Will he ( or is it she?) take any notice? I am afraid not. Is it madness on their part or just part of the ‘political game’? UK leaders fear our loss of permanent member status at UN if we are not nuclear armed. Labour is also scared of real change as ever. That’s the trouble with a party with policy made by members – in this case at the 2016 conference. Half a dozen Trident nuclear submarines sailing around the world capable of destroying many cities within minutes can hardly be called a “defence” policy! It looks like we are back to the loony left ” Nuclear Free Zones” of the 80’s. Run up the white flag then and surrender to terrorism. When the Labour annual conference votes on the Trident issue the decision becomes labour Party policy. There is nothing Jeremy Corbyn can do about that. Even though Jeremy Corbyn personally opposes the Trident nuclear weapons system, he has to abide by annual conference decision. It is a quaint thing called democracy.